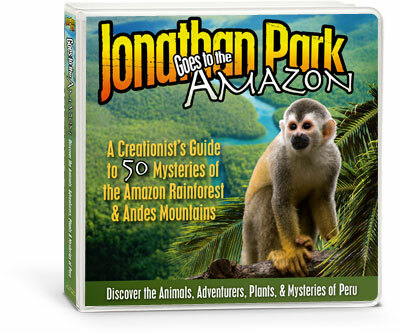 Explore a lost world and uncover seven mysteries to the glory of God in Jonathan Park Goes to the Amazon! 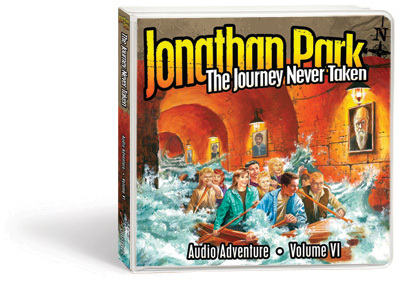 Follow along as Jonathan and his father join Vision Forum—a Christian family ministry—and a team of explorers on an exciting adventure to the Amazon Rainforest and the Andes Mountains. Together they investigate some of the most amazing examples of God’s creation, discovering the true meaning of Christian stewardship from jungle paths to mountain peaks. When Jonathan’s laptop gets mixed up with a stranger’s at the Lima Airport, the adventure begins as two thrill-seekers become convinced the team is trying to find the Lost City of Gold. 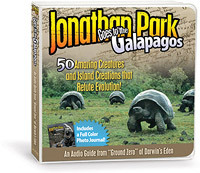 Join the excitement as Jonathan, Kendall, and the Vision Forum team explore the mysteries of Amazonia, while Ajay and Quentin stalk them in their pursuit of ancient treasure! 33. What Does It Mean to Live as Christians? 49. Why Do Nations Fall?